Buy Peppersmith Lemon Dental Mints in the UK from our online shop or directly from our independent Scottish store. These dental mints made with xylitol for all day dental protection. Lemon flavoured, so not as strong as peppermint. Where can you buy real Peppersmith Lemon Dental Mints safely online? If you are wondering where you can buy Peppersmith Lemon Dental Mints safely online in the UK, then shop with us. 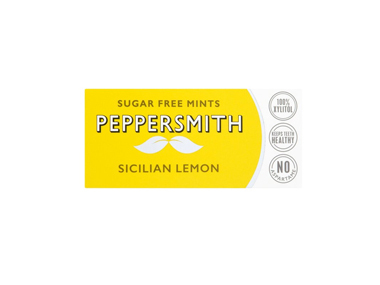 Peppersmith Lemon Dental Mints - Peppersmith Lemon Dental Mints in Sweets and Confectionery.